Dave and Danny love Star Wars! 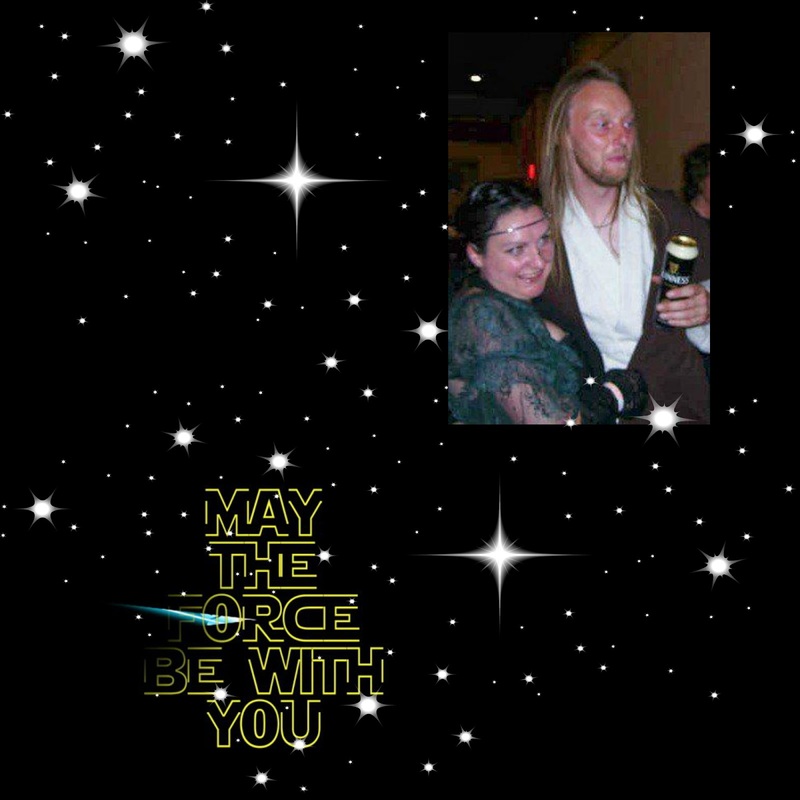 I do enjoy watching the movies when their on and dressing up for “May the 4th” parties and gigs “Star Wars stylee”, but that’s as far as my fandom goes to be honest. Danny loves playing “Star Wars” in real life, on computer games and also with the LEGO sets. I admit that a lot of the time when he’s discussing the subject with me I don’t really understand a lot of it! 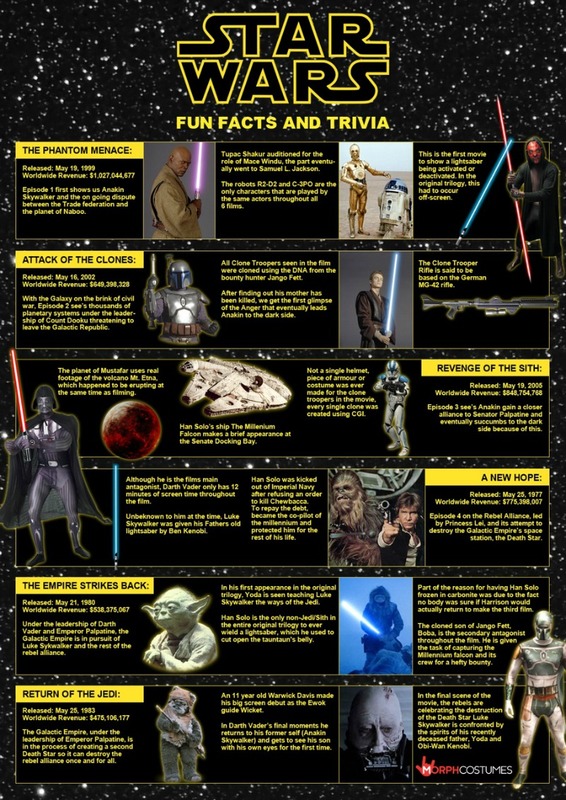 Therefore, I’ve had a quick read of this Star Wars Fun Facts and Trivia infographic in the hope that I can impress him with a few facts in our next conversation! If you’re a fan of Star Wars then check out this selection of Star Wars Morphsuits, perfect for the next Star Wars or May the 4th Fancy Dress Party you may go to!